Wash the strawberries and dry them using kitchen towels. Pour the yogurt into a small bowl. 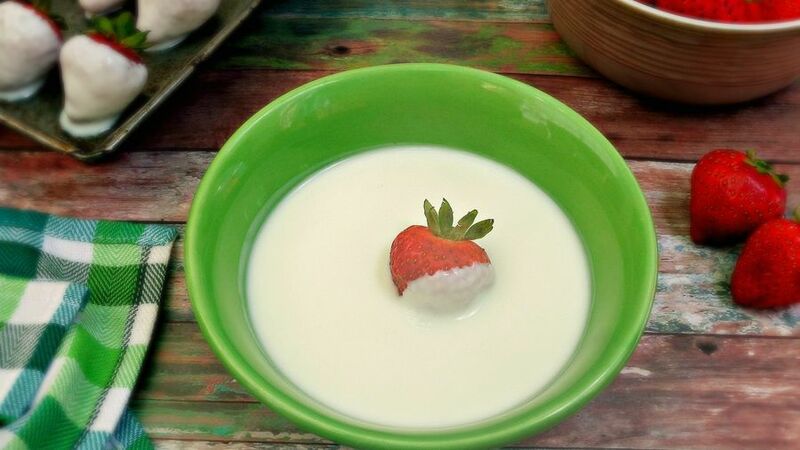 Dip the strawberries, one at a time, in the Yoplait® yogurt until they’re completely covered in yogurt. Put the strawberries on a dish or a small baking tray covered in wax paper. Freeze the strawberries for at least 30 minutes. Pour the chocolate frosting into a plastic sandwich bag. Make a small cut into a corner of the bag. 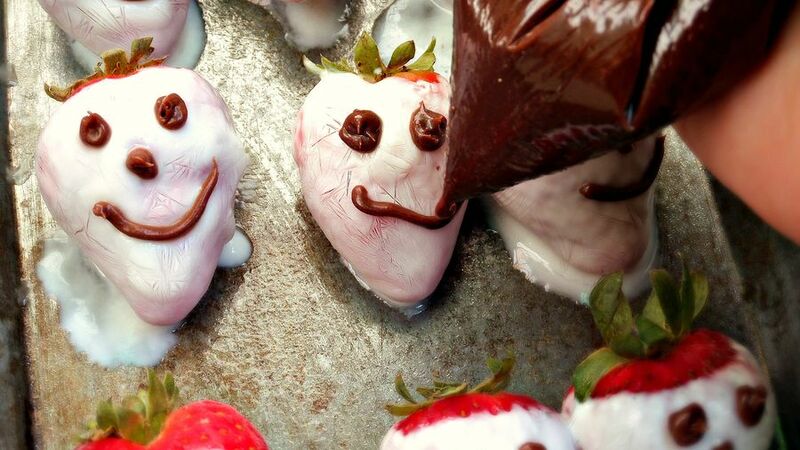 Take the strawberries out of the freezer and decorate them as skulls with the chocolate frosting. Serve immediately or keep the strawberries in the freezer until it’s time to serve them. 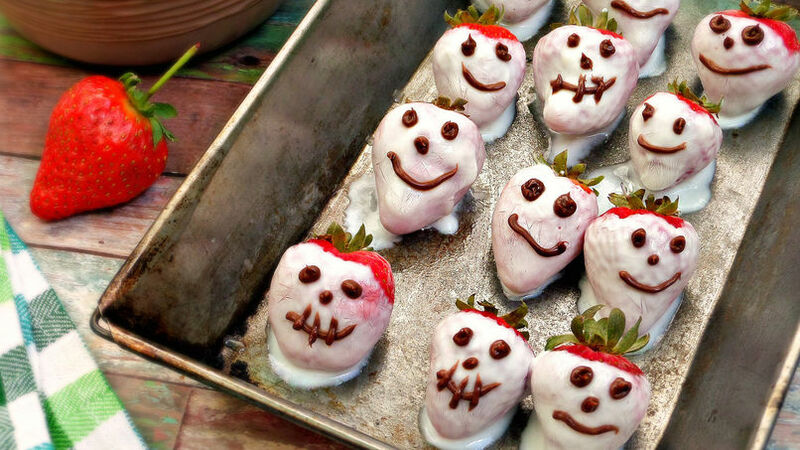 Add some color to your strawberries skulls by using different Yoplait® yogurt flavors.